The special of the day are our fabulous hand-crocheted bracelets!! 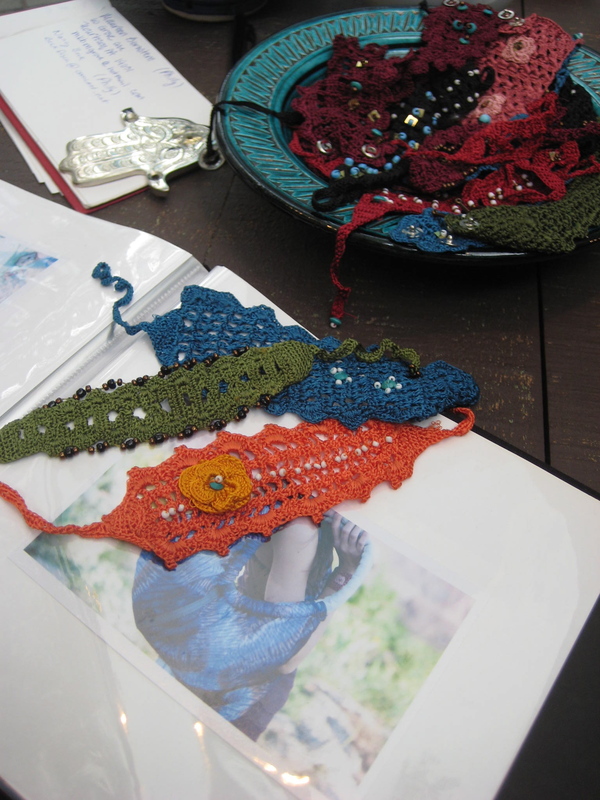 All one of a kind and hand crocheted and beaded by the marvelous ladies of Ain Chaib Morocco. Great handmade gifts at $20. Katie at the beading workshop in Ain Chaib. ← Sale of the day…Ms Mina!